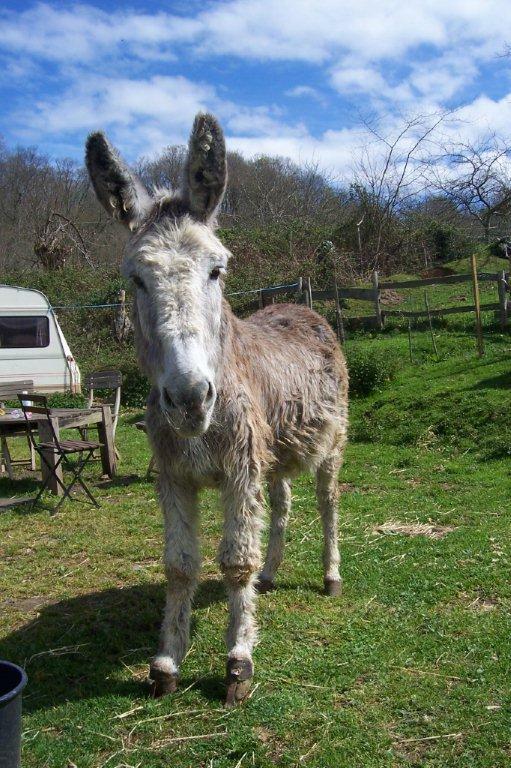 Our new donkey Rosie came with both front hooves bent completely backwards – due to severe neglect. 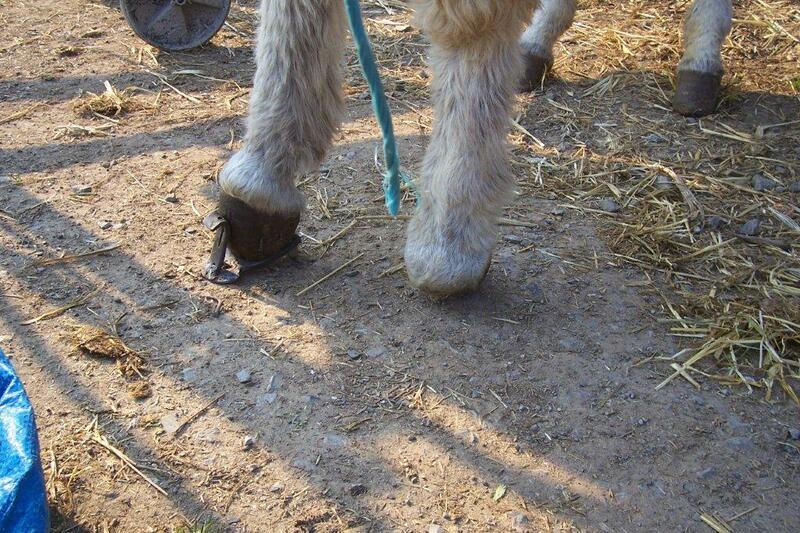 She couldn’t walk; only stumble … until our farrier Mariano was fairly sure he could restore the damage little by little. He started by making a very special iron for Rosie that would prevent her from stepping on the front of the hoof again. The iron was affixed to the hoof with a plastic material that hardens out in any form you will need, and underneath two supports were made to keep the hoof in upright position. With these ‘high heels’ Rosie all of a sudden was much taller! The first few weeks were painful to her, so she was given pain killers and medicines to help make her stiffened tendons more flexible. Then the supports were taken off. This made walking easier for her; once when we forgot to close the gate, she had walked off way into the meadow to be with the other donkeys! Rosie is a very different donkey now. She leaves her stable every morning and comes to the straw storage to nibble straw. She walks around in the yard, enjoying the company of her stable mate Hannah and the attention of all the people around the house.